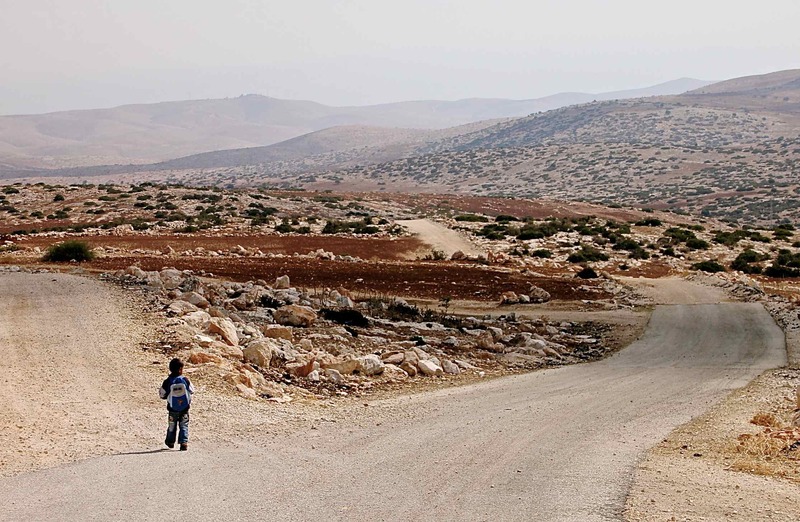 Child walks home from school along the ‘peace road’ demolished by the Israeli army in 2011, al – Aqaba. Photo EAPPI/I. Tanner, 23/10/14. Al Aqaba is a picturesque village; located in the Northeast of the Jordan Valley, in the West Bank. Palestinian communities have lived in the valleys and caves of this fertile region for thousands of years. In 1967, the Israeli military occupied the West Bank and in the 1990s Oslo accords divided the total area of West Bank into administrative Areas A, B, and C. The al Aqaba region was included in the 60 percent of the West Bank, classified as Area C, it is subject to the Israeli Civil Administration’s zoning authority and regulations. 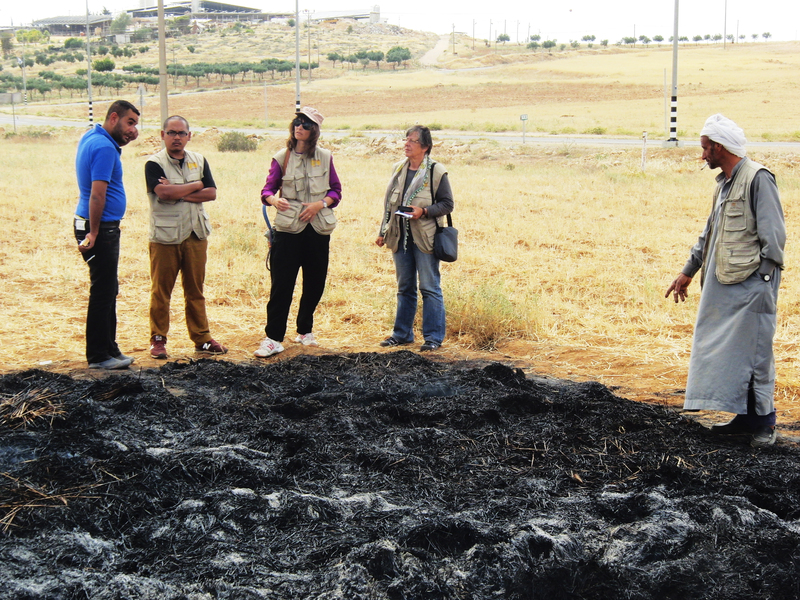 The EAs in the Jordan Valley visited the village on three occasions between October and November 2014. Over the course of these visits we were given glimpsed the reality of life under occupation and learned what it means to live in ‘Area C’ of the West Bank. Al Aqaba is home to the worlds only peace mosque. 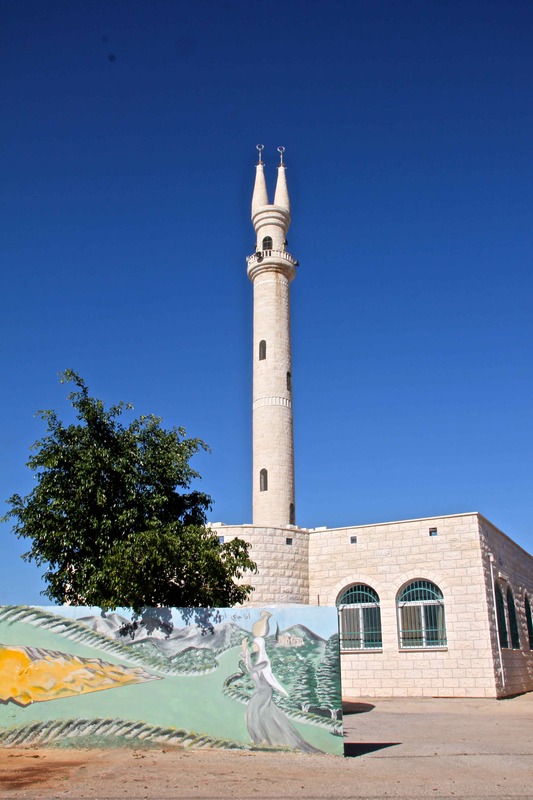 It has a distinct twin spired minaret which symbolizing peace and V for victory. Photo EAPPI/ I. Tanner. On 23 October 2014, we meet with Haj Sami Sadeq Mayor of al Aqaba for the first time and ask him what are the main problems facing the community. Haj Sami Sadeq shows EAs military training exercises on the outskirts of the village. Photo EAPPI/I. Tanner, 23/10/14. A low flying military jet seen over Al Aqaba. Photo EAPPI/I. Tanner, 23/10/14. Children play in Al Aqaba kindergarten while Israeli army does military exercises in the background, Photo EAPPI/I. Tanner, 23/10/14,. Since 1967 most of the land in the greater Al Aqaba area (90%) was confiscated by the Israeli Government and is now used for military training exercises. Military training in Al Aqaba region as seen from the village kindergarten. Photo EAPPI/I. Tanner, 23/10/14. Haj Sami reports that, since 1971, more than fifty people have been wounded and sixteen killed during military training exercises in the area. 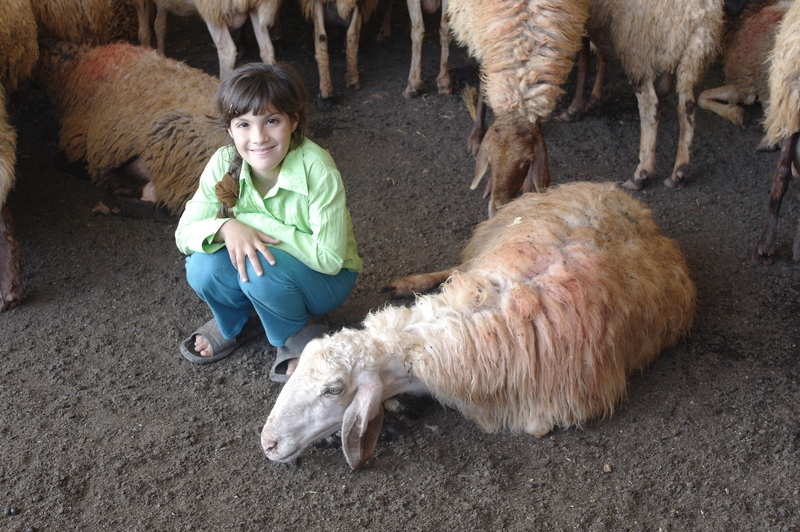 Haj Sami is one of the victims. As a young man he was hit during a live training exercises, paralyzed from the waist down and is wheelchair-bound for life. An advocate of nonviolent resistance the mayor is making strident efforts to retain the existing population and attract people to live in the village. 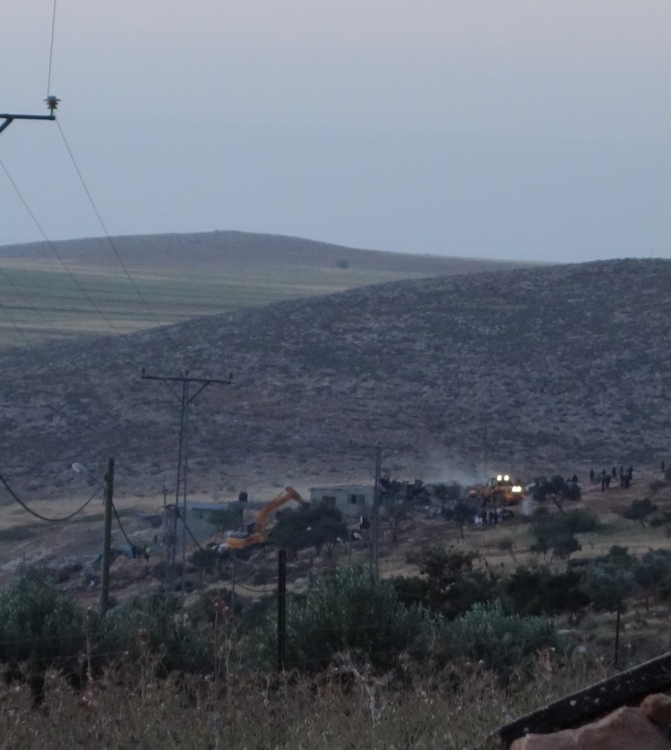 Almost all the structures in the town have outstanding demolition orders, including the medical center, the kindergarten, the houses, and the village mosque, the factory and even the roads. Many of the residents have had their homes demolished more than once. 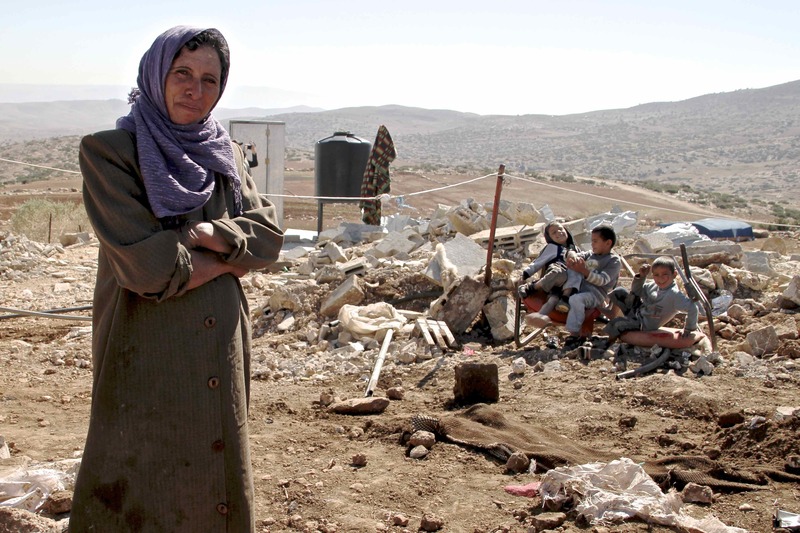 Sara Alfaqr stands next to the ruins of their demolished house. Three of their children play on the twisted remains of their living room couch in the background. Photo EAPPI/I. Tanner, 07/11/14. One the same day Defalla’s neighbor Khalid Ahmad Abdarahman Subeh, had an animal shelter demolished. We go to visit the family and learn that this family is also facing demolition for the 3rd time. 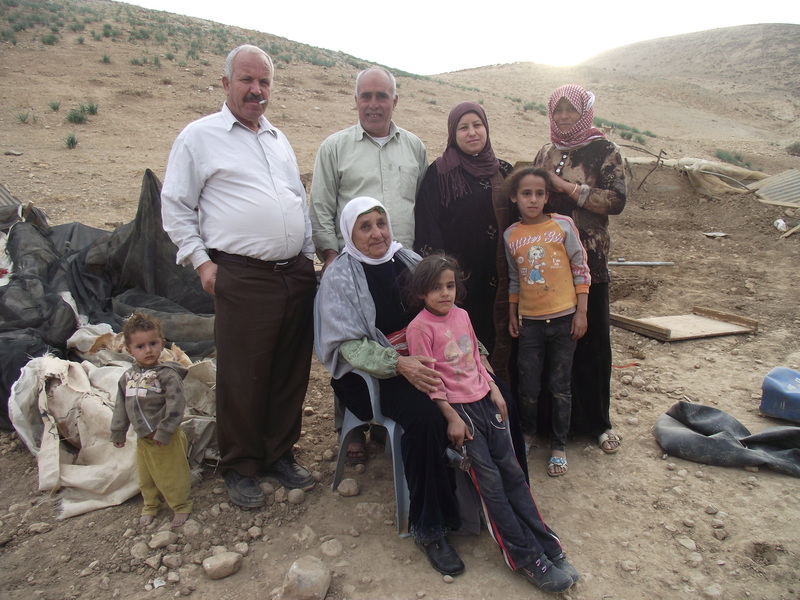 Khalid Ahmad Abdarahman Subeh and his wife Sara, describe the demolition. The rubble from the destroyed animal shelter can be see in the background. Photo EAPPI/I. Tanner, 07/11/14. Sara gathers fresh sage from her herb garden to make tea for the visiting EAs. Photo EAPPI/I. Tanner, 07/11/14. 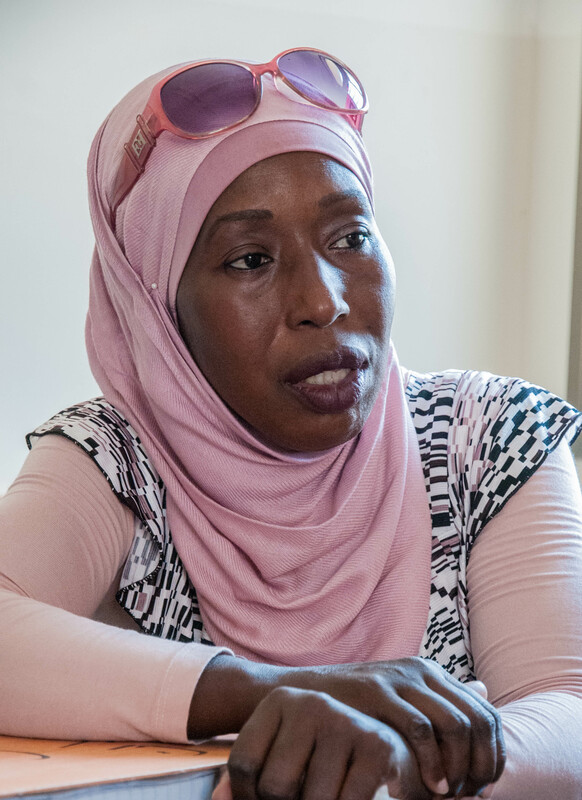 Both buildings were allegedly demolished because they were built without a permit in Area C. The affected families report that they applied to the Israeli Civil Administration for building permits but were denied. 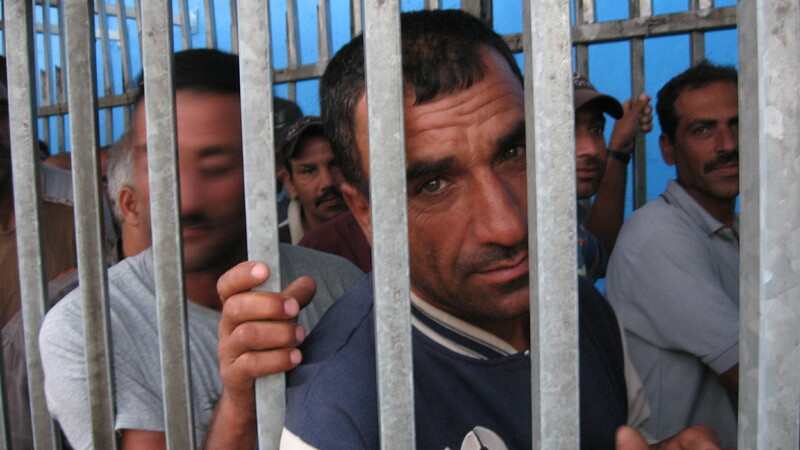 According to UN OCHA, 94% of applications for building permits by Palestinians living in area C are denied. On the 11 November 2014. EAs joined locals and NGOs in a celebratory volunteer day to paint and clean the village of Al Aqaba. 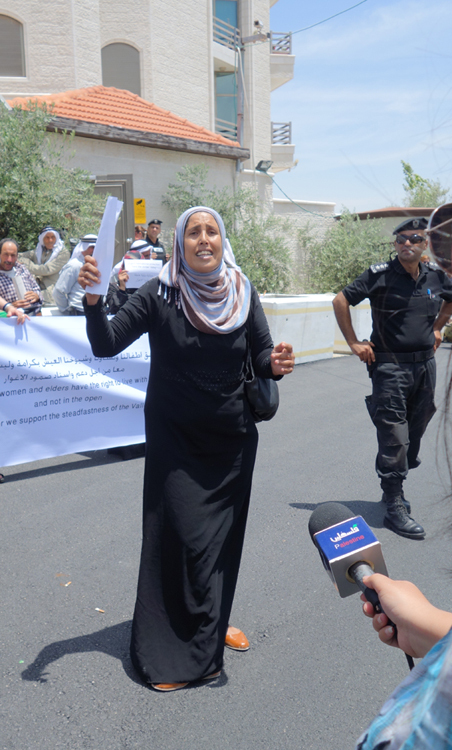 The initiative was conceived as a show of support for the community ahead of their high court case challenging the Israeli Civil Administration for its demolition orders on the village structures. Local NGOs organize a day to paint in Al Aqaba in a show of solidarity. Photo EAPPI/I. Tanner, 11/11/14. EA joins volunteers in painting the village of al Aqaba, Photo EAPPI/I. Tanner, 11/11/14. Israeli occupation policies have severely restricted the ability of Palestinians in Area C to build, access water, land and resources. The cumulative impact of these policies has been the stifling of it economy, high poverty rate, dispossession and displacement. 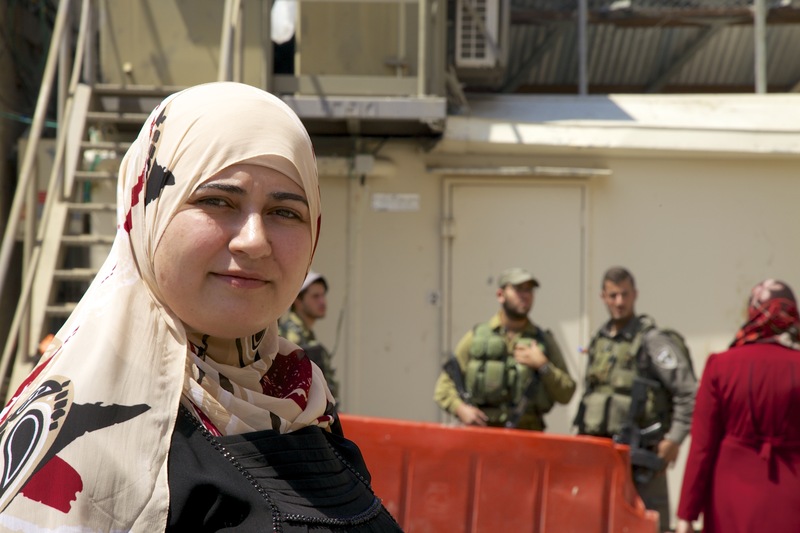 Nawal Kanori, headmistress of the Coed secondary school in Al Jiftlik, Jordan Valley. 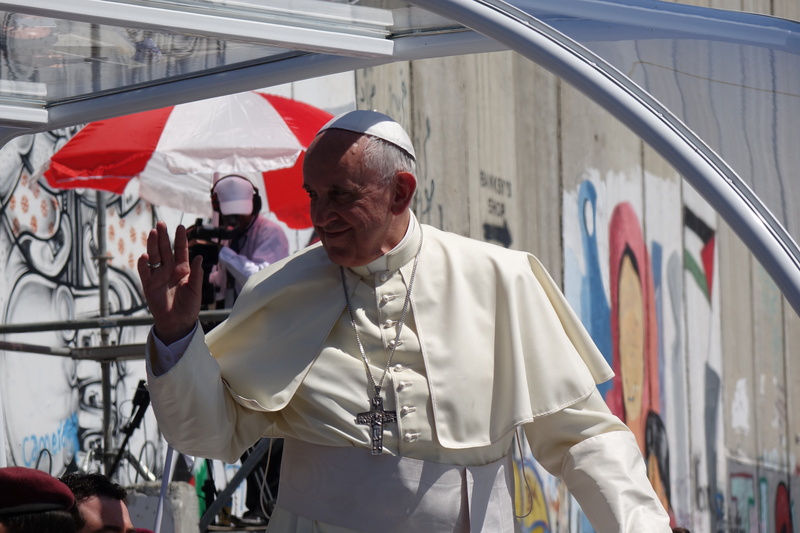 Photo EAPPI/B. Saltnes. I am looking forward to working hard with new graduate students to give them opportunities. 3 days ago I met with 36 girls and asked them, what do you want, how can we improve the situation with education. I am committed to improving the education here, you see the only thing we have is education. It is the most important thing to lead us to a better future. I am looking for good chances for the graduates. I want scholarships for my excellent students. I want to connect them to the outside world. What are your biggest challenges in the children going to school? The main road in Jiftlik is always full of soldiers, we have Israeli settlements all around. Jiftlik is a very wide area, many students come by foot or by bicycle. I always feel afraid about them. There are often road accidents because the army and settler cars drive really fast. The soldiers sometimes stop the children, on the road and on the bus. They have tried to take children off the bus because they say that they throw stones. But I am the first one here every morning, I see everything, and none of the children at my school throw stones. We are peaceful in Jiftlik. Once we were coming back from a school trip through Hamra checkpoint, the soldiers stopped the bus for 3 hours because they said to the children ‘why are you laughing at me?’ I told him they were not laughing at him, they were joking and singing because they were happy at going on a school trip. But he held us for a long time and it made me nervous. Even children are expected to suppress their feelings under the occupation. 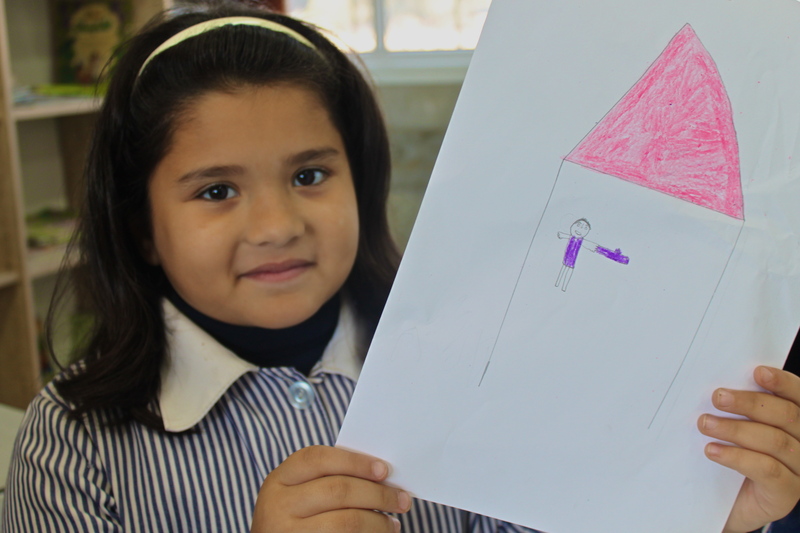 What is needed for education in Palestine to thrive? I have three graduates studying science and engineering at university abroad, it was before we had a building and the school was in a tent. Their classmates in Canada, Norway and the US ask them, ‘how do you get better grades than me when you went to a tent school?’ They work very hard, it makes me proud. However, many schools suffer from students who are clever and want to travel to study abroad, but the Israelis have forbidden them from travelling. We want the outside world to be open to us, to share experiences and ideas. We don’t have planes and bombs, we are peaceful people. The only thing we have is education. We want to walk side by side with this changing world, not to be cut off. Everything will be easier if the occupation will end. As teachers we want to give our students the best. For example the primary school here has 900 students and there are many duties on the teachers and headmaster. If I want to build a school so that there are fewer children in the classes, say 450 for each school, in order to give a better education. 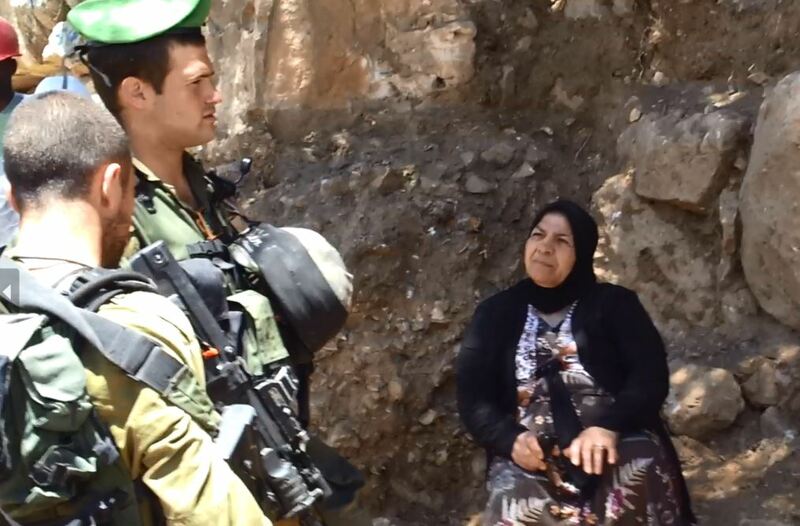 If I want to do this, I will have a block: the occupation. I have to consider renting our own village’s land from the Israelis who took it from us, just imagine! And then I will have 5 or 6 years of struggle to try get permission from the Israelis to let me build. It was back in 2005 when I started thinking about building a secondary school for Al Jiftlik, I thought man has gone to the moon yet we have no school. I have been a teacher since 1999. It is not complicated to run a school if there is no occupation. The midday sun is coming into it’s own as we seek sanctuary under a tree in ‘Ein el Beida. 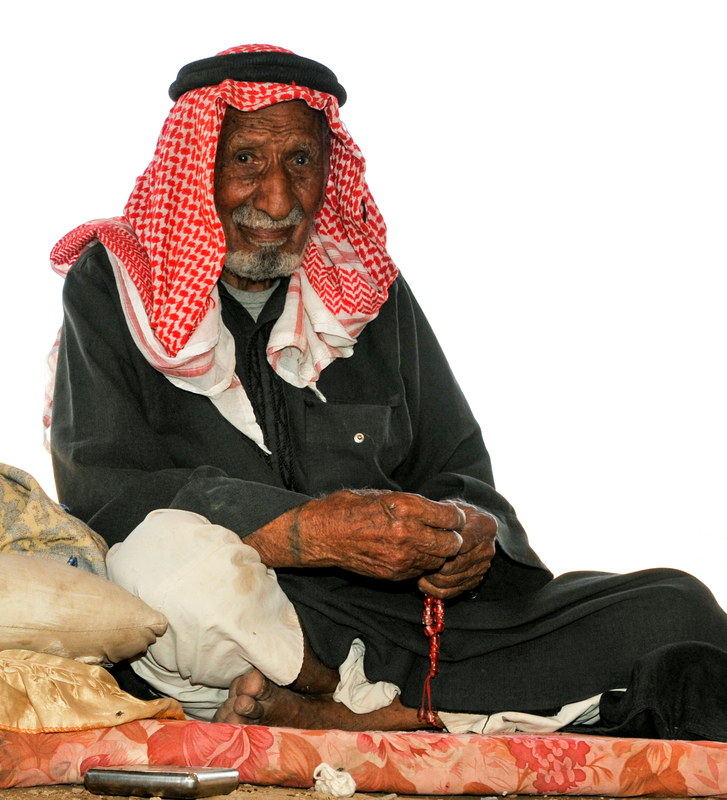 As the first EAPPI Jordan Valley team, we are warmly welcomed by Abu Omar and his elderly uncle Abu ‘Akab, a kindly man with a sense of humour, against the odds. 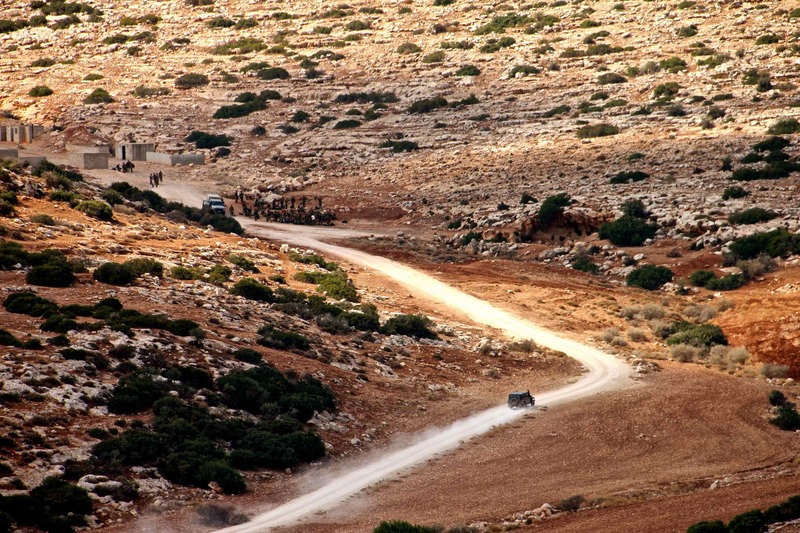 ‘Ein el Beida and its neighbour Bardala are located in the far north of the Jordan Valley. The Jordan Valley makes up almost a third of the West Bank, and is traditionally known as being the ‘breadbasket of Palestine’ because of its fertile land for agriculture. 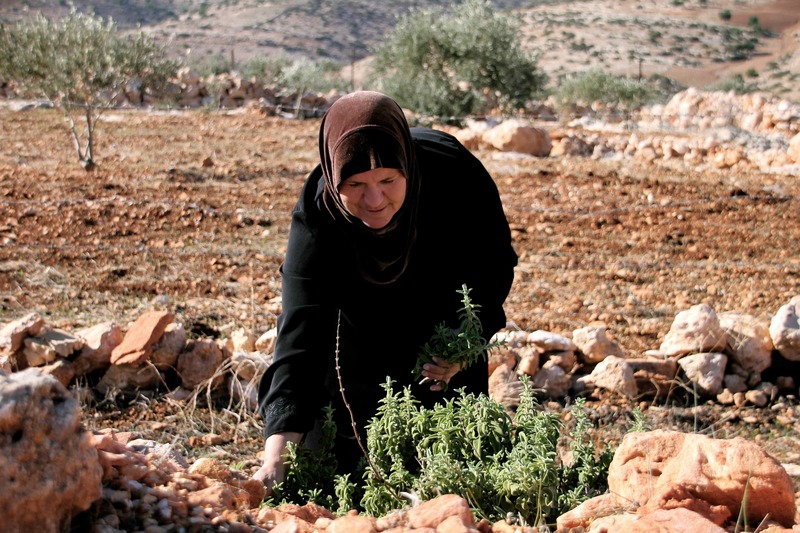 Yet Palestinian farmers in the area are struggling to survive. We have come to find out why. “Before they were public springs, no one paid, it was communal water in ‘Ein el Beida, our tradition. After, they take our spring and we have to pay them agora [money] for our own water, and then they do not give us enough”, Abu Omar explains. The ‘before’ and ‘after’ Abu ‘Omar refers to is the Israeli military occupation of the West Bank. In 1967, a series of military orders declared all Palestinian water resources to be Israeli state property. Under these orders, Palestinians are prohibited from developing water resources without a permit from Israel. 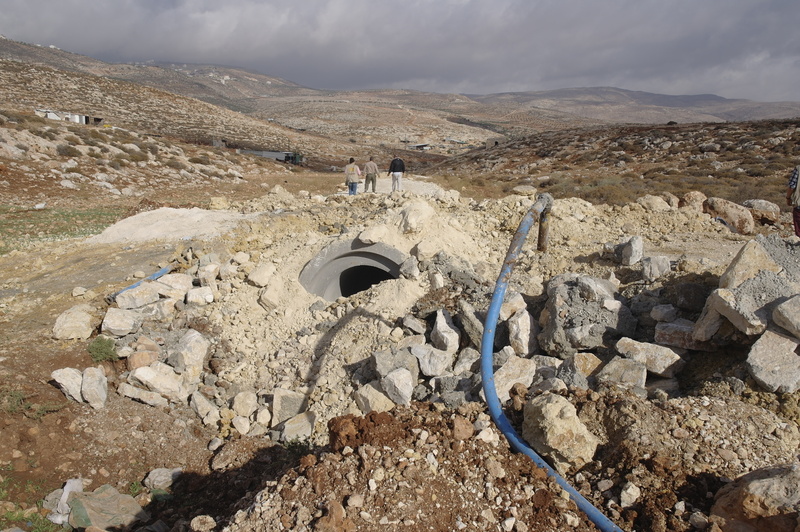 This means that they cannot maintain a spring, repair a cistern, or develop irrigation networks without Israel’s permission, and permission is almost always refused. 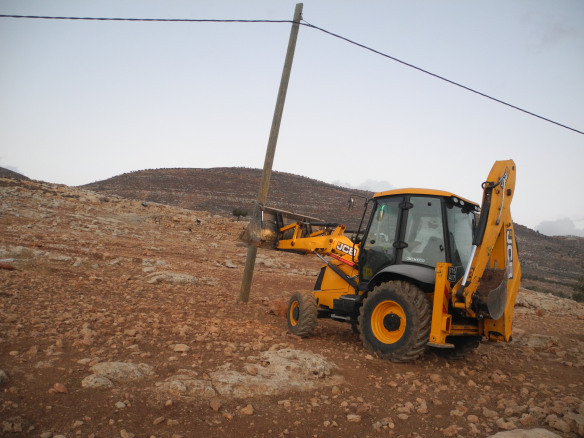 In Bardala, the Israeli government confiscated the land of the village’s main spring and the national water company, Mekorot, dug deeper into the mountain aquifer. As a result, the nearby Palestinian spring in Bardala, and the 9 more shallow springs of Ein el Beida, dried up. According to the Joint Water Committee there were 774 operating wells in the West Bank in 1967, now due to Israeli restrictions there are just 264 operating wells, an EWASH (Emergency Water And Sanitation/Hygiene) representative informed us. The water spring & pump of Mekorot, the Israeli water company. Photo EAPPI/B. Saltnes. 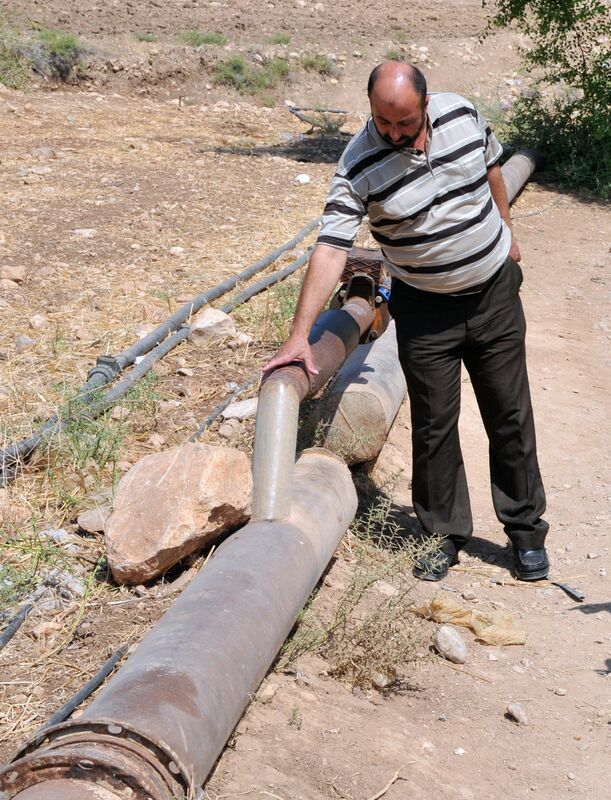 An old, unusable Palestinian well in Bardala. Photo EAPPI/B. Saltnes. Bardala’s water is diverted to nearby Israeli agricultural settlements including Mehola and Rotem, illegal under International Humanitarian Law. They export everything from dates to herbs, mostly to European markets. The difference in overall consumption is stark. According to EWASH, a coalition of 30 NGOs working on water, hygiene and sanitation issues in the Occupied Palestinian territoriesthe Israeli settlers in the northern Dead Sea area of the Jordan Valley are allocated 10 times more water than the average West Bank Palestinian. 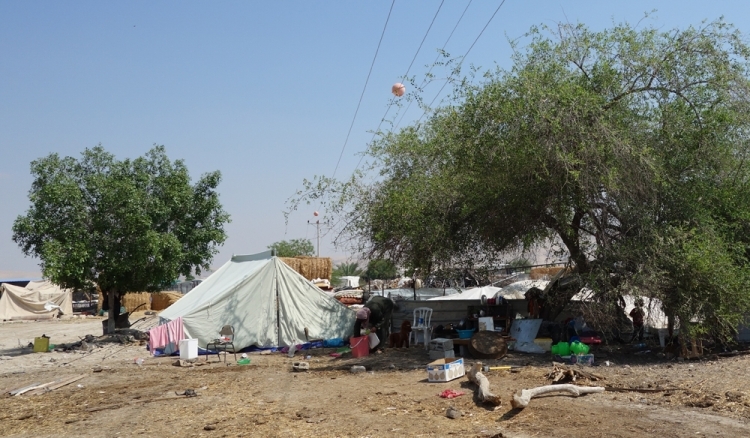 As we walk around the villages, the contrast between the settlement and village lands are striking. ‘Ein el Beida’s agricultural land in front. The orange trees cultivated by illegal Mehora settlement behind. Photo EAPPI/B. Saltnes. The World Health Organisation recommends a minimum of 100 litres of water per person per day for domestic use and personal hygiene. 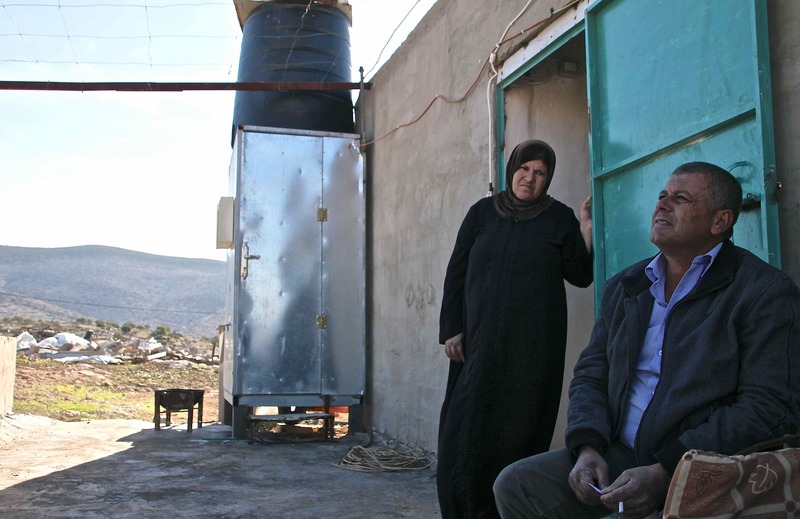 Israeli restrictions mean that Palestinians have access to an average of only 70 litres, and many vulnerable communities in the Jordan Valley have to survive on as little as 20-30 litres because it must be tankered in at high cost. 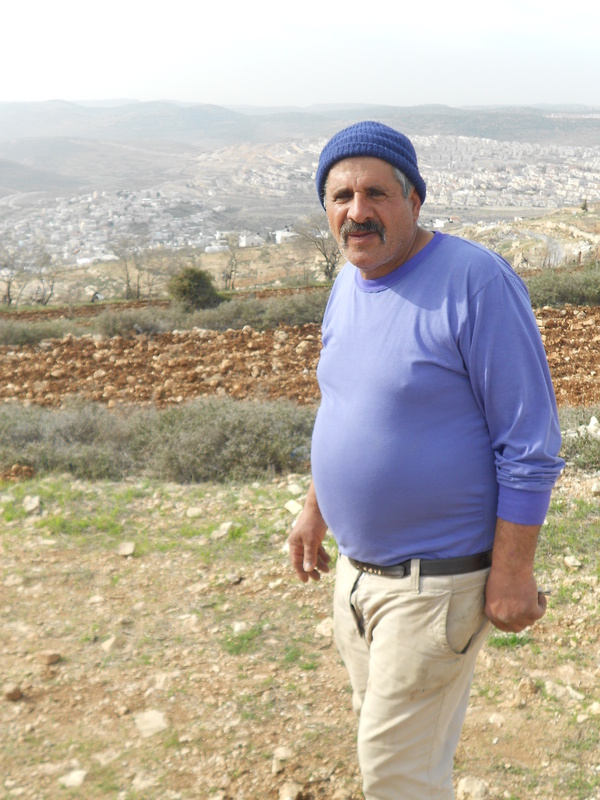 Abu Dirar used to plant 10,000 dunums (1000 hectares) of his land, but now only a third routinely, the rest only if there are heavy winter rains. After all they need to go somewhere to drink. 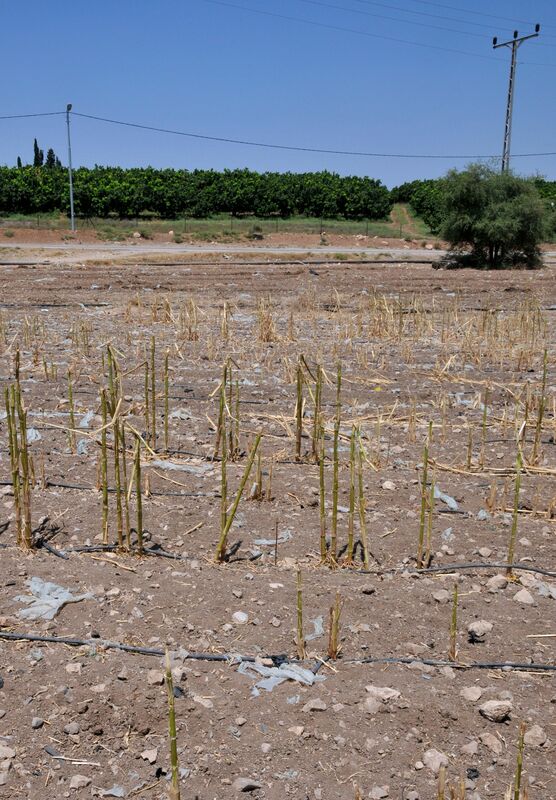 Take Action now to support Palestinian water rights. * A previous version of this post stated that Israeli settlers in the Jordan Valley and Dead Sea area are allocated 75 times more water than the average West Bank Palestinian. Israeli settlers in the northern Dead Sea area are allocated 727 litres per day and the average West Bank Palestinian consumes 73 litres per day. We have now changed the statistic to 10 times more water, which is a more accurate reflection of the statistics.